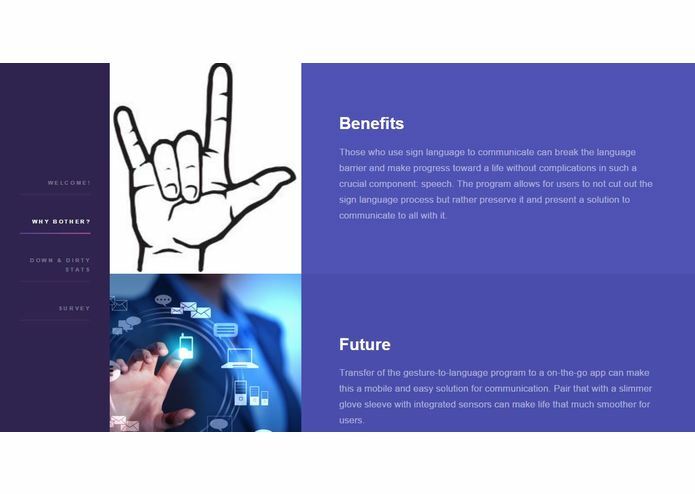 Translating your life into able. At my work, we have regular customers that come in to order, however they are deaf and only communicate via sign language. We have only two employees that may or may not be there, so often times we have to just hand them a piece of paper to write it down and it sets them apart as different. Therefore, I wanted to create something that gives them the opportunity to uphold regular interactions with others and make their lives a little easier. 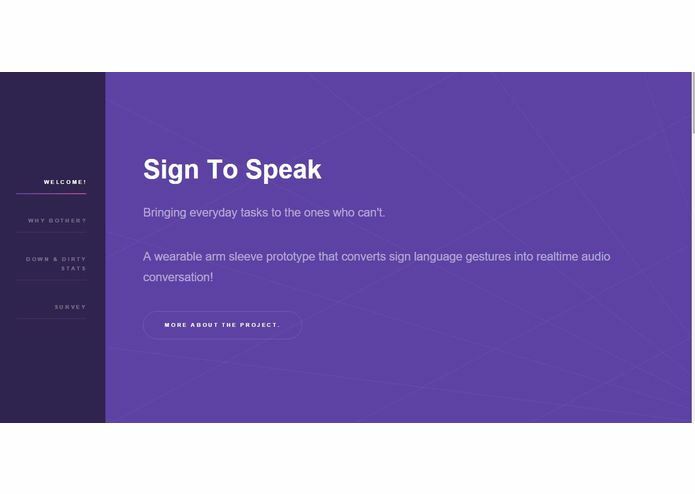 It reads the input of a person's hand and arm as they sign and converts it to an audio output. This way a person who is signing can uphold a conversation with others and not worry about people not understanding them. I thought I would just need the Myo and maybe an Arduino and speaker. It turns out the Myo has a low specificity in distinguishing muscle/arm/hand components. 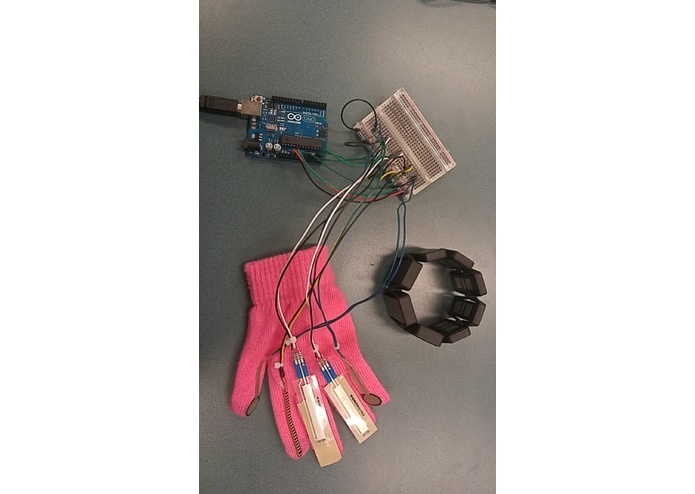 We also ran into problems with the sensor outputs giving different numbers now that they were mounted on the glove, so they had to be re-calibrated. This project. And the things learned from it. From the idea, to most of the code, to the web page, I worked and learned through it all. I was lucky enough to have a newly-made friend join me to flush out the rest of the code and solder up the boards and provide some help here and there.